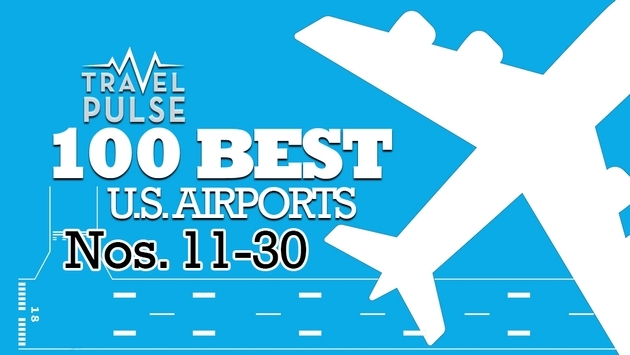 At this point in the TravelPulse survey looking for the top 100 airports in the country, you can count on one thing. There aren’t too many unfamiliar names in the rankings. The major airports have shown up en masse now, but there were still a couple of surprises in our countdown of Nos. 11 through 30. Yes, O’Hare is one of the more difficult airports to get to because of traffic, and its expansiveness makes it sometimes difficult to navigate once there. You won’t find it on our top 30 airports for ease of access, that’s for sure. But O’Hare remains one of the country’s most important airports and its strengths come in being business friendly, family friendly, and for its numerous amenities. “I liked the cleanliness of the Chicago airport bathrooms,” wrote one reader. “O'Hare has a lot going for it with a nursing mothers’ room, the indoor garden above the atrium and the yoga room,” added another survey-taker. Not to mention the fact that the world is at your doorstep at O’Hare. “O’Hare is great for getting anywhere,” wrote another. OK, let’s be clear, you aren’t winning an $11 million jackpot at the airport slot machines like in “Ocean’s Thirteen.” But the clanging bells you hear the moment you step off the plane leave no doubt about where you are. For the amount of visitors that Las Vegas draws, it is surprisingly easy to get in and out of McCarran. The taxi lines are a fairly short wait and the ride into the city is especially cool at night. Given the amount of money that changes hands here, it’s no surprise Vegas was No. 2 on our airport list of most business-friendly. One of the truly great up-and-coming major airports in the country and one that has received a lot of recognition in other surveys of best airports as well. 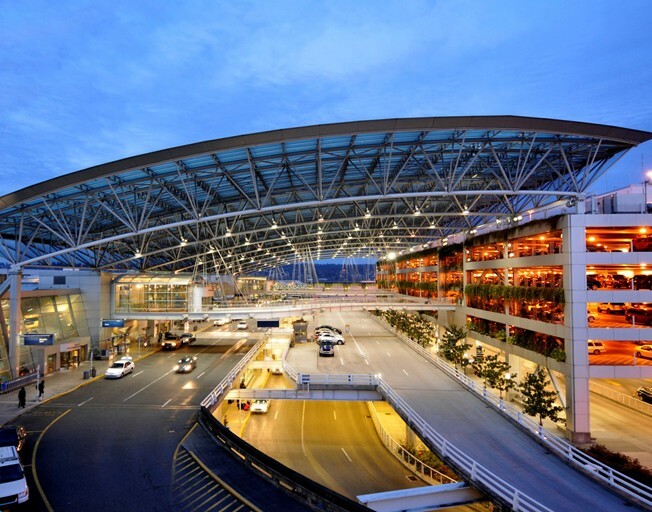 In fact, for the third year running, PDX was Travel+Leisure magazine's best U.S. airport. Portland was top 25 in four of our seven categories, placing high in ease of access especially. And, of course, we're quite certain that had we instituted a category for carpeting, that PDX would have it hands down. Now, c’mon. Outside of our 50th state, where else can you buy a lei right at the airport? Honolulu was strongest in amenities, finishing 16th in that category. “Honolulu airport has a couple of outdoor garden setting spaces to wait, which is always welcome,” said one respondent. “The food choices!” raved another. HNL was also strong in ease of access. “Honolulu is not hard to get through,” wrote one reader. Located in suburban Corapolis, Pa., and a short ride to downtown, Pittsburgh International underwent a makeover more than a decade ago and has emerged as one of America’s great airports. Strong scores in family friendliness and ease of access vaulted Pittsburgh into the top 15. “Pittsburgh is easy to get through security and they have another line that is often open which re-routes you to the alternate checkpoint,” said one respondent. Also one of the great up-and-coming major airports that we have no doubt will be in the top 10 – and, in fact, is already in other surveys’ top 10 -- including taking the top spot in ThePointsGuy.com's recent rankings of the 30 best airports in the country. PHX has the distinction of being both a hub for American Airlines and a mini-hub of sorts for Southwest Airlines, so the breadth and choice of flights is expansive. Phoenix also did well in the TravelPulse survey in five of the seven categories, finishing no worse than Top 25. Well, there is no doubt that people love their ease of access, and San Diego is ranked this highly in large part because of its incredible accessibility, both in getting there and getting through to the gate. “San Diego is compact and probably the easiest airport to get around that I have been to in the world,” one survey-taker wrote. It also fared well in amenities. “San Diego is great for restaurants from local purveyors, including craft brewery Stone,” wrote another. Modernity, amenities, business friendliness and volume and selection of flights all helped make Houston-Bush one of the top 20 airports in the country on our list. “Layovers are usually short with lots of nonstop options to major hubs. Houston-Bush is the best,” one respondent said. But you can’t please everybody. It should be noted that in a survey of the 30 best and worst airports, Houston-Bush was ranked 10th-worst by ThePointsGuy.com earlier this month. No. 20: JOHN WAYNE ORANGE COUNTY AIRPORT, Santa Ana, Calif.
John Wayne presents an interesting dilemma for flying into the west coast. Do you fly into Los Angeles International because of its convenience and proximity to the city, and not have to worry about a 35-minute drive from John Wayne? Or do you enjoy the ease of access, amenities and terminal comfort of Orange County – all highly ranked and the big reason why this airport is in the top 20 – and just forget the traffic and enjoy the leisurely drive to L.A.? We’ll take the latter, thanks. Boston’s strengths lie in its business friendliness and its volume. At least from readers. Logan was in their top five for being business friendly and in the top 15 for its flight options, which are numerous. But our experts gave Logan negative points for ease of access, modernity and terminal comfort. The disparity played out in the comments. One reader said he thought it was “easy” to get downtown from Logan; an expert said he would take the smaller Manchester, N.H. airport over Logan any time the situation presented itself. Considered Miami’s second airport, Fort Lauderdale stands on its own, with strengths in ease of access and business friendliness. “There are lots of low-cost airlines, and Lauderdale has direct flights to Cancun vs. Palm Beach, so that's something,” one reader wrote. Its amenities also fared well. “Fort Lauderdale and Charlotte feature the best dining options,” said another. Salt Lake City is a top 25 airport. Now consider the fact that even airport officials admit this is an aging facility designed 50 years ago to serve half the 23 million passengers it now processes annually. That’s how good SLC still fared in the TravelPulse survey thanks to its ease of access and customer service. One of the best mid-sized airports in the nation and one of the best at ease of access – top 10 in that category, in fact, in our survey rankings. And it’s not just easy to get to that separates RSW. Fort Myers also rates highly in modernity and customer service – in fact, it was tied with Dallas-Love among medium-size airports for highest customer satisfaction in last year’s J.D. Power and Associations survey. 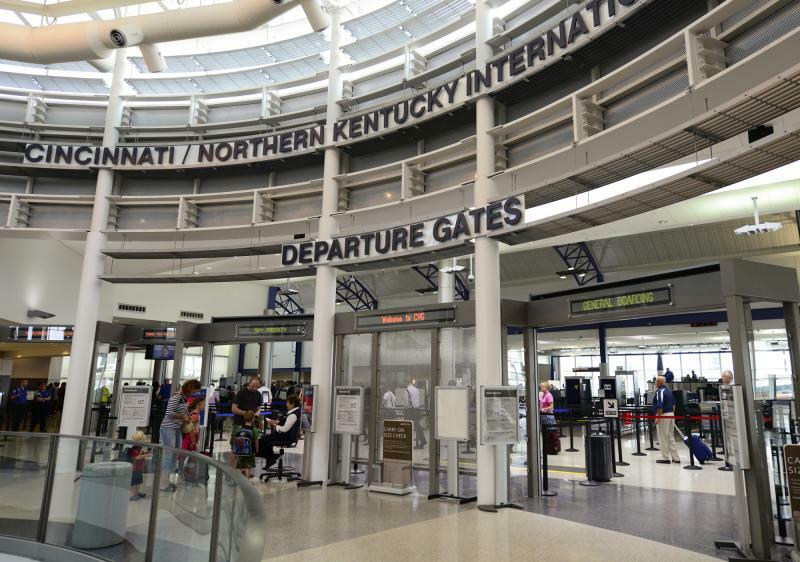 SkyTrax named Cincinnati one of the world’s best airports in a survey from earlier this year, so that tells you how good it is. While it didn’t shine in any particular category, it has positive points across the board. Staff and experts liked this airport far more than readers did, rating it 21st best in the U.S. while readers had it at No. 48. Indy must be doing something right. For the fourth year in a row and the fifth time in six years, Indianapolis International was named Best in North America in the Airport Council International's Airport Service Quality Awards. The award is based on nearly 600,000 customer surveys at 320 airports around the world. NO. 27: MANCHESTER-BOSTON REGIONAL AIRPORT, Manchester, N.H. Simply put, one of the best small to midsize airports in the entire country. Manchester is less than an hour's ride -- well, as the crow flies -- from Boston Logan and yet many people, if given the choice of an equidistant ride to either airport, would choose the convenience of Manchester. Probably a good reason why Manchester did quite well in the ease of access category. American, Delta, Southwest and United all fly out of Manchester-Boston with flights to virtually every major hub and city, including Baltimore, Orlando, Washington, Chicago, New York, Minneapolis, Milwaukee, Newark and Atlanta. Even its Southwest flight that goes to Chicago continues on to Los Angeles. No wonder why people love it. Read more about why we're calling it The Best Midsize Airport in the Country. The old girl is still kicking because, well, Los Angeles. "LAX smells like an old shoe. I always have to sit on the floor or practically stalk someone to find a seat." If these airports were ranked solely on ease of access, modernity and terminal comfort, LAX would be so far down you wouldn’t see it. But Los Angeles performed well in amenities, business friendliness and, of course, volume. In fact, it was top 25 in all three of those categories as well as family friendliness. “LAX and JFK have tons of food options,” said one survey-taker. “LAX and JFK might be aging, but they do accommodate the bulk of (airlines),” wrote another. Of course, it does have its detractors. “LAX smells like an old shoe. I always have to sit on the floor or practically stalk someone to find a seat in Atlanta or LAX,” commented one respondent. Where did it do best in the survey? Amenities, volume and business friendliness, which is to be expected in a town like Washington and particularly since Reagan National is closer to downtown than Dulles is out in suburbia. “Reagan has a lot of late afternoon flights to the West Coast which helps with traffic,” said a survey-taker. If this one and No. 27 surprise you, it shouldn't. PWM did quite well in six of seven categories in the TravelPulse survey — business-friendly being the one knock travelers had against it. Earlier this year, Airports Council International (ACI) named Portland International Jetport 2015’s Best Airport in North America, according to its annual Airport Service Quality Awards. “Portland, Maine has bright and well-lighted passageways, free internet throughout, incredible signage and ease of movement! Very much a surprise,” wrote one reader.